Move browser tabs to the right hand sideMove browser tabs to the right hand side. 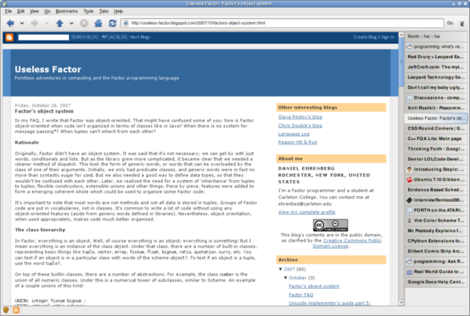 This extension for the Epiphany web browser moves tabs from the top of the browser to the right-hand side. This increases the number of tab names that can be viewed simultaneously as well as increasing vertical space; horizontal space is not at a premium with widescreen monitors. Epiphany Tabs Right is released under the BSD license.